The first folding knife models from Maxpedition are now available at the KnifeCenter and what a good design these blades are. The ergonomic FRN handle is available in khaki, olive drab, or the standard black and it comes with a non-movable black pocket clip. You’ve got the option to use the ambidextrous thumb studs or flipper to open the blade, both work equally well with modest finger pressure. The drop point blades are all 3-1/4″, black coated, and come with nice jimping on the pronounced thumb ramp for precise, controlled cutting. 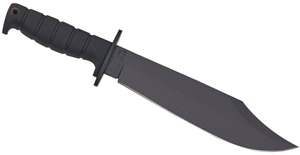 This is a knife you can count on not to fall apart when you need it and it can be found at www.knifecenter.com. 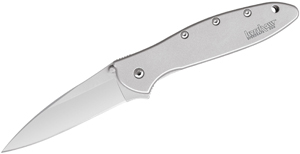 Introducing the Maxpedition FEROX Folding Knife in plain or partially serrated edges. Primed for everyday use, this durable cutting tool is a perfect addition to every Maxpedition bag. At Maxpedition, we believe that the best knife is the knife you have on you. Maxpedition founder Tim Tang draws on his passion for tactical knives and a decade of collaborations with the industry’s top custom knife makers to debut his own folder design. Engineered for utility and accessibility, the FEROX Folding Knife features a sleek jet-black blade with optimal point & edge geometries to provide a high degree of control during precise cutting tasks. 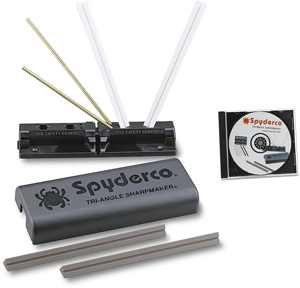 Combine an ergonomic fiber-reinforced nylon handle with a fast-action opening flipper and you have a trusted quality tool that will perform in any situation or environment. You’ll want to pack a FEROX in every one of your Maxpedition bags.